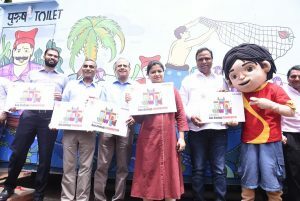 Mumbai, June 22, 2017: In a bid to support the Municipal Corporation of Greater Mumbai (MCGM) to make Mumbai open defecation free, Viacom18 today flagged off the second phase of its Chakachak Mumbai campaign in Bandra. 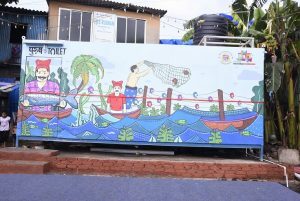 As a part of this initiative, aesthetically-designed mobile community toilets are being used as canvases and installed across 13 locations in the city, in an innovative bid to synergise infrastructural enhancement with behavioural change. 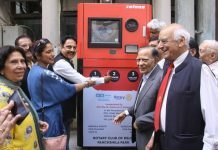 The toilets were instated in the presence of Ms. Poonam Mahajan, Member of Parliament, Mumbai North Central; Mr. Ashish Shelar, Member of Legislative Assembly, Bandra West; Mr. Ajoy Mehta, Municipal Commissioner, MCGM; and Mr. Sudhanshu Vats, Group CEO – Viacom18. The first phase of Chakachak Mumbai focused on renovating and reconstructing over 200 toilets across four slums in Andheri East. 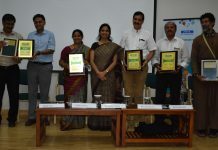 Furthermore, underlining the importance of instigating a change in people’s mindset at the ground level, the network had roped in Ramon Magsaysay award winner, Jockin Arputham and underprivileged women’s self-help collective Mahila Milan, to undertake an intensive behaviour change communication programme. 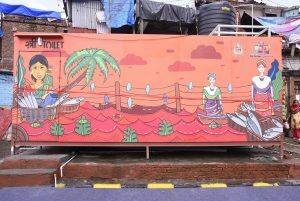 The mobile toilet blocks are state-of-the art and are reflective of Mumbai’s spirit. The toilets are designed on themes such as Mumbai’s lifeline local trains, Bollywood, Koli community, etc. that aim to invoke a sense of pride in the communities and encourage more people to use them. “Being an urban area, we understand the impact that behaviour change communication can make in adoption of toilet usage. 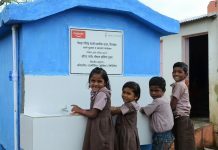 Simply constructing toilets is not enough, generating awareness and educating people as well as maintaining these toilets with electricity and water are essential. 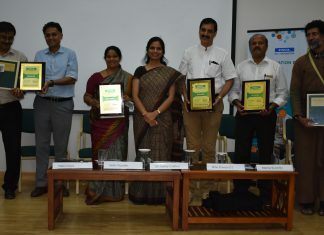 We are therefore, happy to partner with Viacom18 and their flagship Chakachak Mumbai programme to help further the Swachh Bharat Abhiyaan as they have successfully used positive reinforcement amongst the community to help make the city open defecation free.” said Ajoy Mehta, Municipal Commissioner, MCGM.